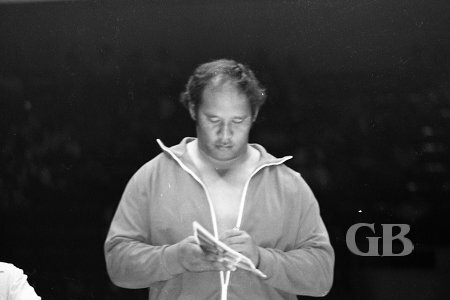 On July 26, 1972 promotor ED FRANCIS presented his second professional wrestling card at the Honolulu international Center arena for the month of July featuring a North American title match and five supporting matches. In the opening event, Kangaroo #1 and Kenji Matsuoka battled to a draw. 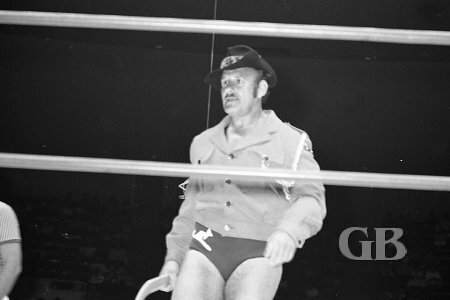 In other matches ED Francis defeated Big Bill Miller and the Masked Executioner drew with Rene Goulet. Al Costello, one half of the famous tag team The Kangaroos. 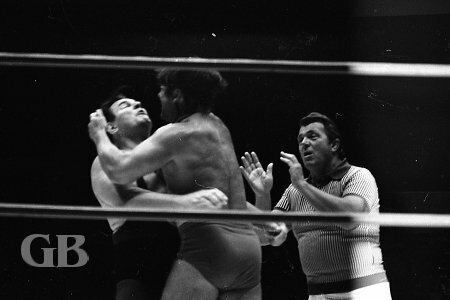 Kangaroo Al Costello ties up Matsuoka in the ropes. Big Bill Miller uses the ropes for leverage. Ed Francis pulls some hair to break Miller's Bear Hug. In the first tag team match of the night, Sam Steamboat and Jimmy Snuka defeated the team of Baron Scicluna and Gypsy Joe in a two out of three fall match. Sam Steamboat signs autographs for the fans. 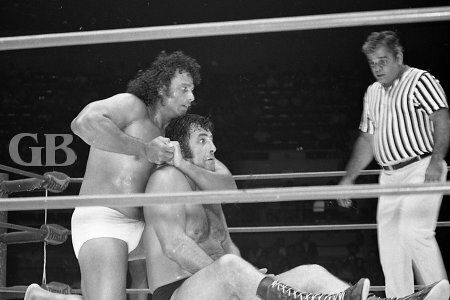 Jimmy Snuka tightens the headlock on Baron Scicluna. In the other tag team match, the father and son team of Wild Bull Curry and Fred Curry defeated the Sheik and his manager Farouk. The Sheik holds his weapon of choice, a metal chair. 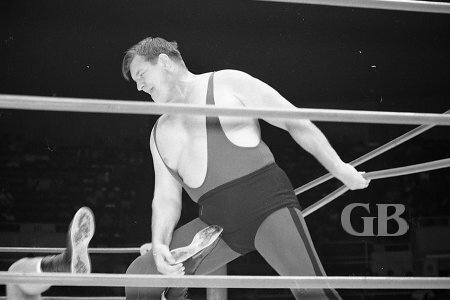 In the main event Johnny Barend retained his North American title by defeating Freddie Blassie. Fred Blassie and his manager, Abdullah Farouk. 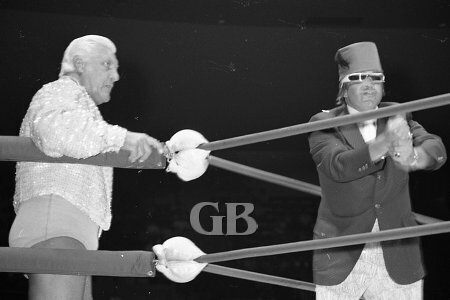 Champion Johnny Barend and Blassie square off in the middle of the ring. 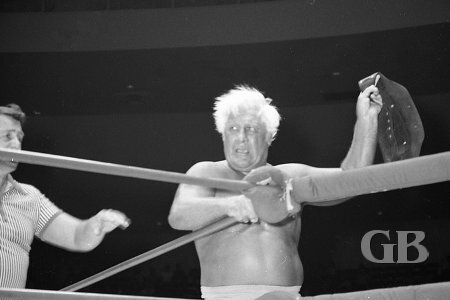 Blassie illegally uses the ropes in an attempt to pin Johnny Barend. 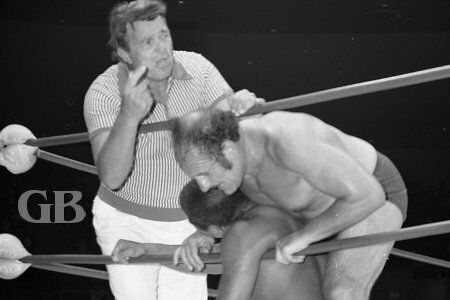 A disgusted Fred Blassie tries to steal the North American belt after losing the match.